The ISG1201 unit is a geyser load control timer designed to prevent geysers from operating during designated peak load times in the morning and evening (Monday to Friday, from 06h00 to 08h00 and 18h00 to 20h00). 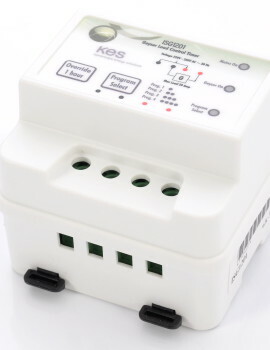 The ISG1201 is a standalone geyser load control timer suitable for use with hot water geyser tanks. It is simple and quick to install into existing and new distribution (DB) panels and or surface mounted (also suitable for solar applications). The ISG1201 allows easy programme selection by pressing the “Programme Select” button (Fig 1 – 6). The geyser timer is fitted with a 1 hour override option (Fig 1 – 5) to manually bypass the geyser load control timer, allowing the geyser to be heated utilising normal geyser temperature control; this option is only available outside designated peak load times. 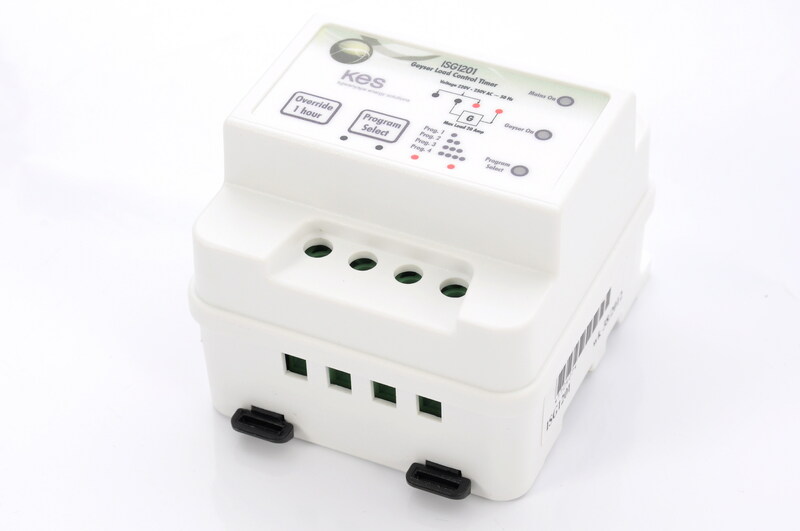 The ISG1201 allows 4 (four) timer pre-programmed profile options: Prog 1, Prog 2, Prog 3, Prog 4. SKU: KES ISG1201. Category: Timers.